We have a second position open for a Functional Program Analyst 3 position to work in our Tumwater headquarters. This position differs a little from the position we announced last week. Have an adequate number of medical providers and facilities to support delivery of and access to covered services without unreasonable delay. Provide access to care in a timely manner and within reasonable proximity. Ensure that medical providers who serve predominately low-income, medically underserved individuals (called, Essential Community Providers) are included, based on the needs of the population served. Health plans in recent years have narrowed their medical provider networks as a way to lower health plan costs. Insurance Commissioner Mike Kreidler has stated often that he supports health plans' efforts to keep down costs for consumers, but that cannot come at the expense of consumers' access to health care. This position requires a bachelor's degree and two years' experience working with the insurance industry or regulation of the insurance industry, and with contracts and databases. We will start reviewing applications on May 19. Read more about the position, including how to apply, on careers.wa.gov. Two OIC employees will be honored for their work on behalf of Washington state. Rebuilding OIC's financial examination program has earned Patrick McNaughton a 2014 Governor’s Award for Leadership in Management. McNaughton is the chief financial examiner, based in our Seattle office. 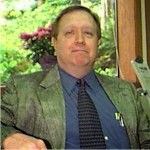 He manages 23 credentialed examiners who are responsible for auditing 45 domestic insurance companies, 90 charitable annuity issuers, and certain public entities, such as the state Health Care Authority. McNaughton’s work enabled the OIC to regain accreditation by the National Association of Insurance Commissioners, and helped create a new system of risk-focused financial analysis and examination. McNaughton will join other award recipients at a luncheon with Gov. Jay Inslee on June 3. 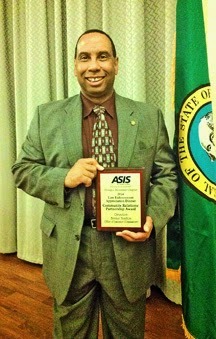 Detective Bennie Hamilton in our Special Investigations Unit (SIU) received the 2014 Community Relations/Partnership Award from the American Society of Industrial Security (ASIS). The Olympic Mountain Chapter of ASIS recognized Hamilton due to his outreach and partnership development with scores of insurance companies, other private companies and public sector agencies that combat fraud. Due to these efforts, Hamilton has successfully worked hundreds of criminal insurance fraud cases resulting in numerous convictions for theft, attempted theft, filing false insurance claims, forgery, perjury and other offenses. Hamilton is a 35-year law enforcement veteran in Washington state, serving the past seven years with SIU. SIU identifies and investigates for prosecution criminal organizations and individuals engaged in fraud schemes that target the insurance industry. Partnerships with insurance industry professionals and a variety of private and public sector entities and individuals are critical for success in combating fraud while protecting consumers.